It’s rare (for me) to open a new CD by an artist I don’t know, pop it in the player, and leave it in for most of the day, backing up to hear tunes over again, not wanting to skip anything. I did that with Dan Aran’s Breathing, one of the most beautiful recordings I have heard in a long time. Breathing is Aran’s first CD as leader, just out on Smalls Records, which Chris Kelsey reports is “surviving, but just barely.” Smalls, the NYC jazz club in the West Village with which the label is associated, has been a home-away-from-home for many Israeli musicians. For Breathing, Aran gathered a fine group of mostly compatriots: trumpeter Avishai Cohen (no relation to the bassist, but brother to clarinetist/saxophonist Anat and pianist Yuval), saxophonist Eli Degibri, trombonist Jonathan Voltzok, flutist Itai Kriss, guitarist Nir Felder, trumpeter Ben Holmes, pianists Art Hirahara and Uri Sharlin, bassists Tal Ronen and Matt Brewer, and bassoonist Gili Sharett. They don’t all play together or this would be a big band recording, but appear in various combinations on various tracks. Ah, the tracks. 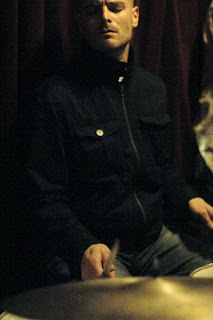 Four out of ten are originals by Aran, including the opener, “Sun Bath,” which begins with a gentle summons by Cohen’s trumpet, layers on instruments (soft piano, plashy cymbals, bass, trombone, guitar), builds in intensity, digresses into a conversation between trumpet and trombone, then pauses, takes a breath, and moves into a ruminative piano-bass-guitar section that picks up speed (but not much) when Aran and the rest return. Another crescendo, another diminuendo, another digression, this time into big, chordy guitar. I’m never sure where this piece is going but it pulls me along. It’s more of a sunrise than a sun bath, changing colors moment by moment. “Sun Bath” gives way to “Shnozel,” an odd name for a slow, measured work of real beauty that sounds at first as if it might turn into “Moanin’.” The spotlight is on Hirahara’s piano. “Riva,” an Aran original with a Middle Eastern flavor, features Degibri on soprano sax, who turns it over to Hirahara et al. midway and comes back to bring it home. Nice. “Para Ezequiel” by bassist Ronen is tuneful and lovely, Aran’s drums laying down a sweet Latin groove for Hirahara’s piano to dance on, and later Ronen’s bass in a moody solo. And here—five tunes into the ten on this CD—is where I know this is music I will likely play again and again. I won’t insult Aran and his bandmates by calling it “easy listening,” but it’s oh so easy to listen to. Cole Porter’s “I Concentrate on You” (which more jazz artists seem to be playing these days) is a showcase for Gili Sharett’s bassoon, which I would have liked to hear more of. You could (and should) slow-dance to this tune, at home on a Friday night, with the kids in bed and a candle or two flickering and the phone turned off and cocktails sweating on the coffee table…. Excuse me. Where was I? Jack Lawrence and Walter Gross’ “Tenderly” begins with Brewer plucking the melody on his bass. Brewer leads on most of the 7-plus-minutes track, which resolves into a riff that cushions a playful extended solo by Aran. In closing: Aran’s “Yemini Pne.” At the start, a loose and lazy meditation. More nice work by Cohen/Voltzok and Hirahara/Brewer. A brief, exploratory solo piano transition into a lively second half and a spirited back-and-forth between the horns. Bright calls from the trumpet, closing thrums and rumbles from the bass and drums, a final exhalation from the trumpet, and it’s time to start over at track 1. Let's hope that Smalls Records doesn't die, that Breathing gets air play, that Aran ventures west of the Hudson before too long, that good things happen for this deserving new release. It's a CD many people will enjoy if they have the chance to hear it. Every now and then a new CD just demands repeated listening sessions. The CD I've been listening to over and over is Nathan Hanson and Brian Rossler's Bellfounding on Community Pool Records. And thanks to you, I'll be downloading the tracks from CD Baby. thanks for the review. i looked on itunes but it was not listed,any idea where it's available? Hi Jerry--Thanks for reading. Dan's CD came out on Smalls Records (smallsrecords.com) so you should be able to buy a copy there--but it's not yet listed on the website. I've written to Dan asking him where else it's available and will leave a comment here when I know.